Campus Technology: So what do you think of E-textbooks? So what do you think of E-textbooks? I am still scratching my head at the idea of E-books, particularly E-textbooks. Even our campus "brick and mortar" bookstore is now selling E-textbooks. There are a growing number of companies who are eating the lunch of college bookstores that are not in the E-textbook business. Well, maybe not the whole lunch. According to a recent article in Wired Magazine the E-Books market is only of about 10% of college text book sales. This is a pretty good percentage for a new technology, but college students are amazing when it comes to finding a bargain. So why such a low number? A few reasons could be that e-Books in general are often sold by publishers who also sell a E-reader device like the Kindle (Amazon)for the or the Nook (Barnes and Noble) and buyers need to be sure the book they are buying can be read on the device they have. This can get confusing since the iPad and other tablets also offer reader software that can work with certain formats. Therefore the buyer needs to beware. 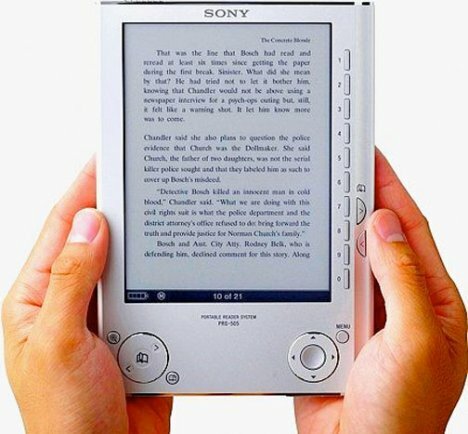 Want a mind blowing look at the market for E-readers? Check out Wikipedia. Another reason could be that more often publishers are shipping the paper books to the campus with premium stuff that cannot be found in the online version. Lab manuals or DVDs with extra support materials are common. This adds to the confusion at the point of purchase. Another reason could be that even the tech savvy college students of today have not grown up on E-books. In all of their years of school paper was the rule. This E-book thing is still very new and frankly may not provide the financial incentive needed. Most E-texts also have an "end of life date". This means you don't get to keep them forever or sell them to your friends the way you can a paper book. You really need to check prices between paper and the virtual text. Very often the prices are pretty similar. In some cases there are deals to be had, if you can deal with the "difference factor". Publishers often say that there is no real money in a textbook because the cost is in the intellectual property that it takes to write the book. How many copies a Geographic Information Systems or Multiple Regression for the Behavioral Sciences are you going to sell. Good argument. I think we have a few things going on in this space right now. The E-reader and tablet thing is very new, maybe 2-3 years. Many students are just now seeing these devices for the first time. Second, they are competing with the new book rental business. This model allows you to rent the real paper book and mail it back after the semester. You way than than cover price and you get to use the real book. Third, often the E-books re used on a separate device. A Kindle, Nook, or tablet. How many devices can you afford to own. Almost every student already owns a laptop and a rapidly growing number already own Smartphones. Again students are very cost conscious and they are not jumping to buy these new devices, at least as early adopters. So what will make the e-book sell? To an extent the growth will happen naturally, but the real driver is price and features. If a single standard can me sold regardless of the publisher that allows the student to use any device -- even their laptop that will will help. If you want to see the E-books really take off, the price needs to be about half of the paper text offering and they need have no expiration. This will be possible with some titles and not so easy with other highly specialized texts. I am going to watch closer of the next year or so and see how this develops. The game is still young. Stay tuned. The issue, in my opinion, is that e-textbooks have thus far been digital representations of paper textbooks. E-textbooks must utilize the affordances of the devices. The “Statistics 1″ iOS app is a good example of this. It helps students learn statistics by bundling everything a student needs into an app. It has lessons, quizzes, flashcards, calculators, decision-trees, glossaries, and a bunch of other tools for learning basic statistics. Paper textbooks can't match a digital, connected environment's potential for tool integration and exploration. Great point. I agree that E-Textbooks have options that paper books just don't. I think this all goes back to instructor adoption and their expectation for the content. All of the new options for video/audio, animation, quizzes, etc. need to be introduced to faculty. New learning modalities are slow to catch on, but they eventually do. Good point regarding the "premium stuff" one gets with the paper books. That is a major factor holding back the e-textbook. It must be cheaper at the moment to package this way. My thought is that most of this "extra stuff" could easily be attached to the e-textbooks as PDF's or even Apps. I cannot wait to see what happens over the next year or so! I have found some e-books to be awesome and others are slow and awful. This semester I purchased two, because I simply could not afford the price of the alternative paper books. I will probably not do so again. Both books are sluggish when "turning" pages, awkward, and in one particular case, very difficult considering the fact that there are illustrations and examples to follow for projects (it's a Microsoft Word class) and it really slows things down. I think e-books could be great but some of the publishers need to work on making them more user friendly. The ones I purchased are the kind you view directly from the publisher's website. What device are you using to read your eBooks and what format are the books in? There are a number of variables which can effect performance. This illustrates the current challenges of eBooks. Just curious, have you tried renting books through Chegg or another company?